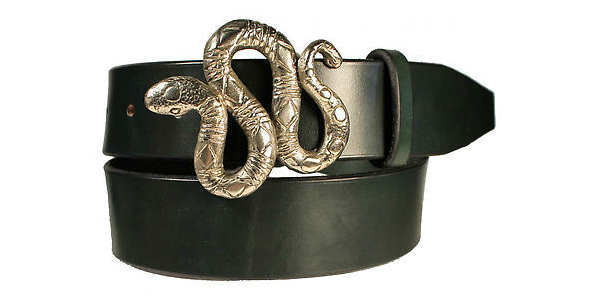 The Snake is a Wiley Brothers original and is made from the highest quality vegetable-tanned leather and locally cast brass and white bronze. This playful and whimsical garden snake was designed for us by renowned jeweler Michie McConnell of Berkely, California. She is also responsible for the baby sea turtle also in our collection. The strap is 1.5” wide and is finished to the same exacting standards as the rest of our belts.